Seats 11 Person: Black Interior & White Exterior leather seat Premium Audio system with IPod Auxiliary Fiber Lighting. We are one of the best Abbotsford Limousine Service Vancouver Airport providers. We offer affordable Abbotsford limo Service to Vancouver Downtown. Abbotsford Limo Rental provides hourly rates, wedding Packages and fixed priced transfer trips. We can also create custom packages based on your budget and needs. Our fleet is mixed of Sedan cars, Stretch SUV and Stretch Cars. All our vehicles are well kept and fully insured. Please call us for any question of the quote. We are one of the best providers of wedding limousine Service. Our wedding packages include water, soft drinks and decoration at no extra cost. Prom and Graduation night is the most impotent in your life. We will help you to celebrate it, in style. We will pick you and you are, take you to park for pictures. Hire us to return home after the ceremony. Airport Car Service Abbotsford BC on comparable price to Langley taxi cabs. Airport Limo Abbotsford BC to or from the Vancouver International Airport and return back home. All trips from Vancouver airport to Abbotsford BC includes the meet and greet service to make it easy for you to meet your chauffeur. This also includes one hour of complementary waiting time at the airport. 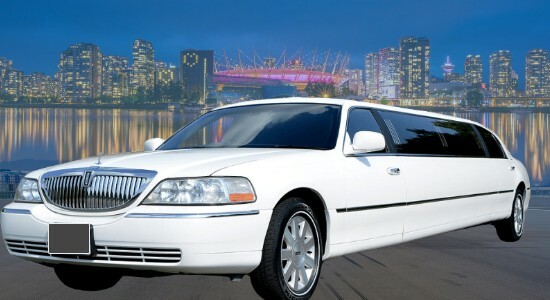 Abbotsford Limo Service for transfer trips to Vancouver Downtown nightclubs, concerts, night or Vancouver Canucks game. Most affordable Abbotsford limo Service with fixed prices for airport transfer trips and special packages for weddings, graduation, prom and many other special occasions. We offer the best prices for Fraser Valley Wine tasting tour. Need a ride to Vancouver Airport or Vancouver Downtown for 5 or more people then Abbotsford Limousine Service Vancouver Airport is the most affordable option. Our Cheap Limo Abbotsford to Vancouver airport fleet of cars includes Stretch Cars, Stretch SUV, Sedan cars and much more. All our vehicles are regularly inspected and are fully insured. A wedding is not complete without a Wedding Limousine Abbotsford BC to provide transportation for the Bride & Groom. Wedding limos play major part in the wedding planning and should not be left to chance. Make your Airport Limo Abbotsford BC booking in advance. We send you an email to confirm a booking, so no need to worry about, getting late for your flight. Also, Pre-booking can be made for any time during day or night. You can choose wineries from the list on our website and let us know which Fraser Valley wineries you like to visit. Then we can setup Abbotsford Limo Service wine tasting tour of these wineries on your behalf or call them directly. Need transportation for corporate clients? We can help with a newer model luxury ride that can uplift your image; it will be more than just a transfer; your client or partners will notice you are serious, we charge comparable to taxi cab. Explore the culture, nature, and wildlife of BC, sightseeing city tour start from Canada place, Aquarium Stanley park, Grouse Mountain, Suspension Bridge or UBC. We have packages to visit great places, attractions, and activities. We offer Cheap Limo Service Abbotsford BC for point to point trips and social events. Planning Birthday Celebration, Bachelor Party, Wedding Anniversary then take a Fraser Valley wine tasting tour. 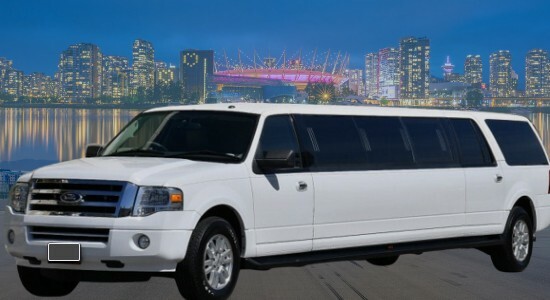 Use Abbotsford limousine Service to Vancouver night clubs, Concerts, BC Lions or Vancouver Canucks Hockey game. A night out for family dinner, a sightseeing city tour or a Day trip to Whistler. We make sure you have the best time of your life. 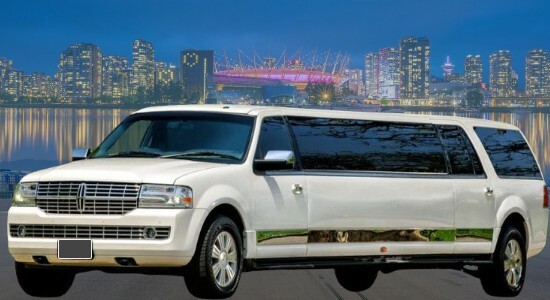 Cheap Limo Abbotsford to Vancouver airport take about an hour and a half. You can just set back relax and enjoy your ride. If you are flying, then take advantage of our Abbotsford Limousine rental from Airport. The city has its own airport with regular flights from West Jet. 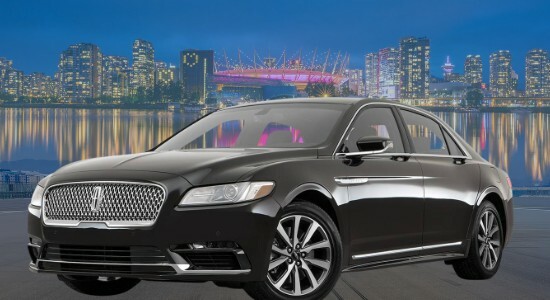 We also offer luxurious Sedan Car service from Vancouver Airport. Our driver can meet you at the airport and even help you with your bags. When you board, soft drinks and water will greet you inside. You can then stretch your feet and relax to the cool climate, private travel, and music from the CD player. If you have an iPod, we provide aux wire to stream the songs directly from the device. The Airport Limousine Service Abbotsford BC can take you to your hotel, home or business place for the meeting. People can also Rent Limo Abbotsford BC for the wedding day. Our wedding limos are large and spacious used to transport your guests to and from the venue, hotel or airport for the honeymoon trip. We highly recommend visiting Abbotsford BC, Right in the middle of Fraser Valley. You are less than 1.5 hours away from downtown. It is very close to beautiful wineries, cellars, and vineyards, the valley is highly known for. The City is very easy to get to, whether you are coming from Vancouver or Harrison Hot Springs. You can reach the city thru many different routes. Destiny Limousine is committed to giving each customer with great value for money. For this reason, the company has introduced packages for both Metro Vancouver and Fraser Valley. These packages are tailored to fit individual needs and preference. Clients are also given an option to choose between hourly rate or flat fee that compliments their budget. Aside from Airport Car Service Abbotsford BC to Whistler, Destiny also specializes in providing luxurious, safe, professional, and reliable transportation service for graduations, weddings, wine tours, city tours, and business travels. ✅ e are open to come and see the fleet before booking. ✅ We sign a contract with the price and type of vehicle you are getting. ✅ All Day Surrey car hire discount of up to 12%. ✅ We offer a city tour for a group of 2 to 20 people. ✅ Calculate Cheap Limo Prices or Black Car Service Rates. Airport Limo Abbotsford BC to Whistler and Shuttle back to YVR, Harbour Air, South Terminal or BC Ferries. Airport Shuttle all the way Mission, Chilliwack, Abbotsford, Maple Ridge, Coquitlam, Port Moody, Langley Township or Pitt Meadow. Rent Abbotsford Limousine Service Vancouver Airport, Surrey, White Rock, New West, Burnaby, Delta, Richmond, all over Fraser Valley. Reliable YVR Airport shuttle just for yourself or transport corporate group for Christmas, Award function, family dinner, night out having fun or birthday celebration. We are a good option for ridesharing, luxury ride, shuttle people from one place to another. Cheap Limo Service Abbotsford BC are a better option when you compare us with Abbotsford taxi rates.